by Geeta S. Iyengar. 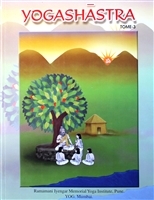 Course for 1st year students based on the syllabus taught at the Ramamani Iyengar Memorial Yoga Institute in Pune India. 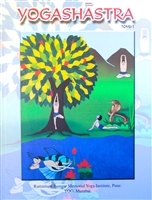 This is a practical manual which helps beginners practice what they have learned in class. Spiralbound, 121 pages. This revised edition includes an extra chapter "The Sequence of Learning & Practice" 1st to 28th Weeks. 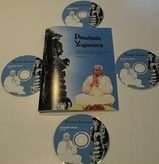 Course of asana and pranayama based on syllabus taught at Ramamani Iyengar Memorial Institute Geeta Iyengar. 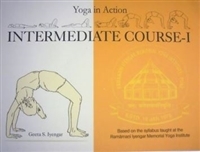 Follows on from "Yoga in Action- Preliminary Course" also based on the courses taught at the Iyengar Institute in Pune, India. 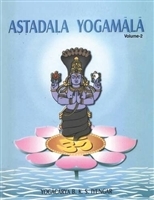 This syllabus builds on the asanas taught in the Preliminary course and also introduces the practice of pranayama. Clearly illustrated and described in point form. An essential addition to any practitioner or teacher's library. 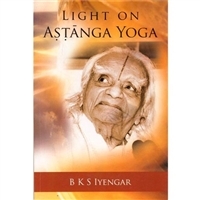 BKS Iyengar. Primarily a collection of grainy photos. 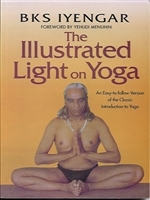 Includes larger photos than in "Light on Yoga" as well as some newer photos. Printed in India. Softcover, 128 pages. long standing sadhana of BKS Iyengar. Softcover, 328 pages. practice, therapeutics, ayurveda, teaching, schools, sports, and more. done between 1958 and 1986. Softcover, 278 pages. 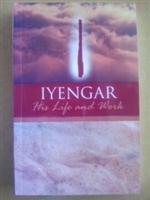 The fifth in a series of collected works of BKS Iyengar. Softcover, 301 pages, 7.5" x 9.5". 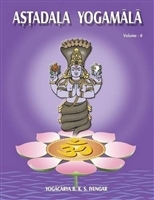 Compilation of the first 5 years of Yoga Rahasya quarterly magazines, 1994-1998. 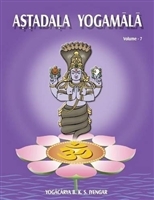 The aim of this magazine is to share events and teachings from RIMYI directly to the world wide yoga family and serve as a means of interaction with activities in the Iyengar yoga centers around the world. 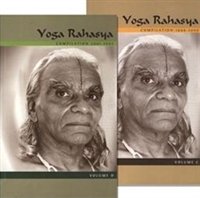 Compilation of the first 5 years of Yoga Rahasya quarterly magazines, 1999-2002. 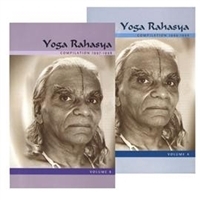 The aim of this magazine is to share events and teachings from RIMYI directly to the world wide yoga family and serve as a means of interaction with activities in the Iyengar yoga centers around the world.